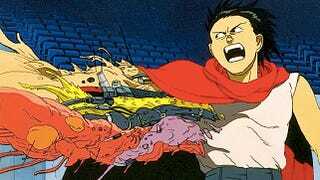 Hey everybody, the American Akira is dead! Again! Garrett Hedlund offered lead role in Akira. Crap. [With] Kristen Stewart, Ken Watanabe and Helena Bonham Carter in various stages of dealmaking, the studio feels that the price tag is still too high for a sci-fi project with that level of star wattage. The goal, say insiders, is to bring the budget down to between $60 million and $70 million. Yes, the movie nobody wanted promises to be even more skint. That is, unless the script revision fails miserably. Ergo, I plan on taking ventriloquism lessons, camouflaging myself as a plastic fern in the writers' room, and murmuring inordinately expensive propositions like "Kaneda and Tetsuo are time-traveling, 500-foot centaurs who, every thirty seconds, spontaneously combust into literal blizzards of cocaine and magma."